Assured Retirement Limited is registered under the Data Protection Laws in the United Kingdom and we take all reasonable care to prevent any unauthorised access to your personal data. This website (which includes all sub domains associated with/linked to it) is published by Assured Retirement Limited. Assured Retirement Limited is committed to preserving the privacy of all visitors to this website. • Information that is automatically collected e.g. via cookies when you visit one of our websites. By registering your personal details on this site and any site linked to this one that is published and operated by Assured Retirement Limited, you consent to the collection, use and transfer of the information under the terms of this policy. If acting on behalf of a client, by inputting your client’s personal information, you warrant that you have obtained the necessary consent in respect of our processing of your client’s data. What we collect and use your information for? • it’s in the legitimate interests of Assured Retirement e.g. to deliver appropriate information and guidance so you are aware of the options that will help you get the best outcome from your product; where we need to process your information to better understand you and your needs so we can send you more relevant communications about the products you have with us and the developments of our websites and services. • HM Revenue & Customs (HMRC) e.g. 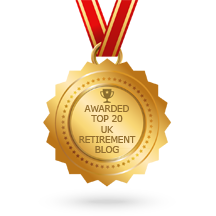 for the processing of tax relief on pension payments or the prevention of tax avoidance. We might also use your information to let you know about other products and services, which we offer which may be of interest to you and we may contact you by post, telephone or email. If you change your mind about being contacted in the future, please write to us at Assured Retirement Limited, 23 Westfield Park, Redland, Bristol, BS6 6LT. We take information and system security very seriously and we strive to comply with our obligations at all times. The personal information that we collect and process in any way, whether online, paper or any other media, will have appropriate safeguards applied in line with our data protection obligations. However, we may share some of your information with companies who are located outside the EEA. Where your information is being processed outside of the EEA, we take additional steps to ensure your information is used by third parties located outside the European Economic Area in accordance with this policy. • Right of access: You have the right of access to your personal information. If you wish to receive a copy of the personal information we hold on you, you may make a Data Access request. • Right to rectification: If you believe that the personal information that we hold about you is inaccurate, incorrect or incomplete, you can request that it is corrected. • Right to request erasure: You can ask for your personal information to be deleted or removed when it is no longer required for a legitimate business need, regulatory obligations or for the purposes it was collected for. • Right to restrict processing: You can ask us to restrict our processing of your personal information for certain reasons, such as resolving any complaints you may have about the way your data is used or if you think our processing is unlawful. This means that we are still permitted to keep your information – but only to ensure we do not use it in the future for those reasons you have restricted. • Right to data portability: You can request a copy of your personal information we hold for your own purposes. In certain circumstances, we may move, copy or transfer the personal information we hold to another company in a safe and secure way. For example, if you were moving your pension to another pension provider. • Right to object: You may object to us processing your personal information for direct marketing analysis. This includes any profiling we perform as part of our direct marketing activities. Once we have received and processed your objection, we will stop using your personal information for these purposes. • Right to withdraw consent: At any time, you may withdraw the consent you gave for your personal information to be used for direct marketing. When you withdraw your consent, it will not affect the lawfulness of any past activities we have undertaken based on the previous consent. All comments, queries and requests relating to our use of your information are welcomed and should be addressed to Assured Retirement Limited,Redland House, 157 Redland Road, Bristol, BS6 6YE. This site uses Google Analytics, a web analytics service provided by Google, Inc. For this service, Google sends cookies to your computer which can be used to evaluate the use of the website and produce activity based reports. No personal data is retained or accessed for any other use. Google stores the collected information on servers in the USA which may be transferred to third parties where required to do so by law, or where such third parties process the information on Google’s behalf. Google will not associate your IP address with any other data held by Google.